Add this beautiful solar powered water fountain to your favorite outdoor setting to create a relaxing atmosphere in your garden. 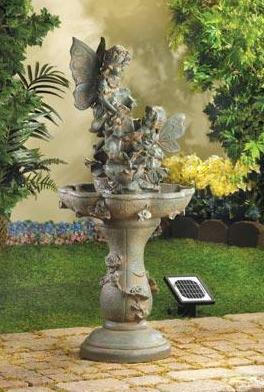 This solar fountain features a pair of fairies playing in the crystal waterfalls providing hours of enjoyment. This fountain is solar power allowing you to add this fountain to your favorite area with running electricity. 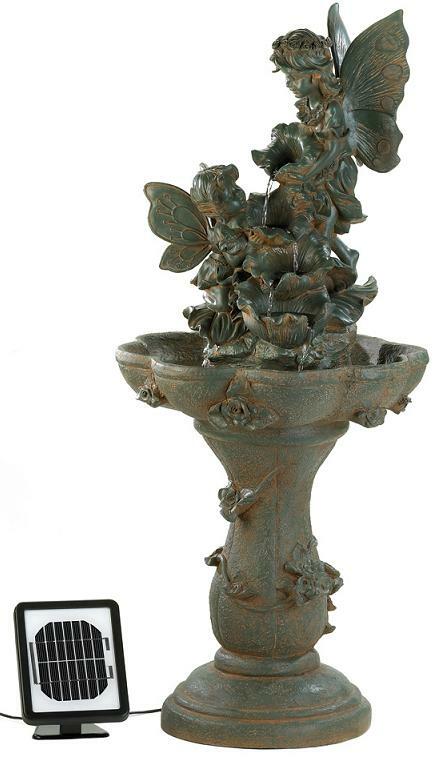 Made of polyresin, stone powder and sand making this fountain easy to maintain through out the year. Easy to install just place the solar panel in direct sunlight for a daytime water fountain or use the include ac adapter for overcast days or nighttime effects or use indoors to create a special effect to your favorite room.